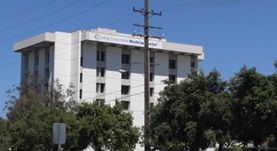 Dr. Choong H. Baick is a general surgeon in Orange, California and he works at Western Medical Center Santa Ana. He got his diploma from Loma Linda University School of Medicine and did his internship at Detroit Receiving Hospital - University Health Center. Dr. Choong H Baick did his residency in General Surgery at Wayne State University School of Medicine, Detroit Receiving Hospital - University Health Center and White Memorial Medical Center. The doctor is board certified in Surgery and has an experience of more than 20 years.